While doing some grocery shopping at Carrefour this afternoon, seeing those fresh green onions make Bun thought of fried green onion pancake. The last time I ate Pa Jeon is about 4 years ago at Asia Cafe. RM8 per piece! Not cheap though. 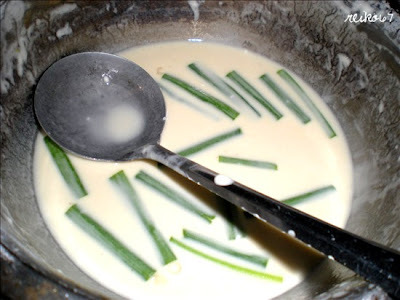 Flour/Tepung Gandum - I use the normal ones. RM2+ per kg. Water - to add into the flour to make it watery. Green Onions - One bundle. You can get it at Carrefour for RM2 per bundle. 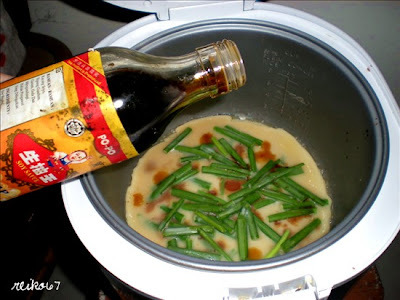 Salt - I don't have salt at home so I use soya sauce instead. Empty Plate - to put the wekk-cooked Pa Jeon in it and serve! I made 4 pieces of Pa Jeon and these are both me and Bun's dinner! Tasty yet money saving! Haha! 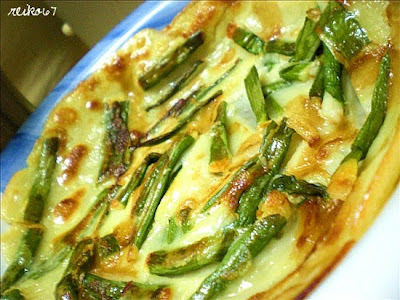 You should try make Pa Jeon at home too! 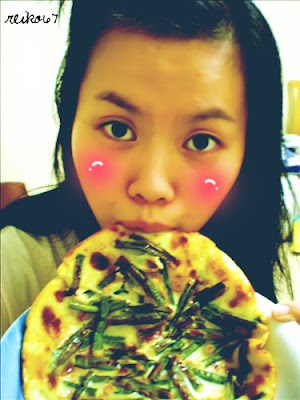 One of the easiest dish I can say~!!! why you don't have this and that one? salt pun takde? 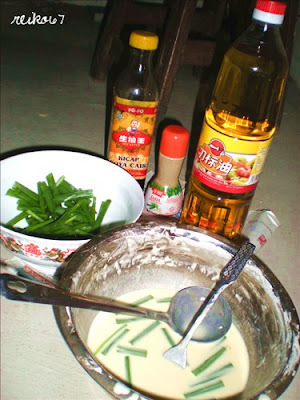 mo ngan tai.. I definately will try this once my exam's over!!!!!!! ;D This is so easy! 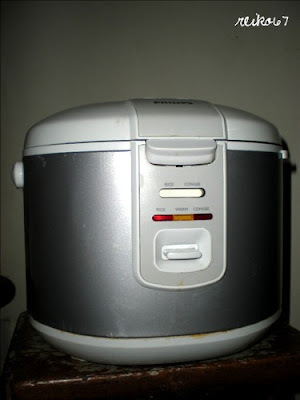 I think I have frying pan, but I'll just follow your way, rice cooker!!!! Use frying pan faster! 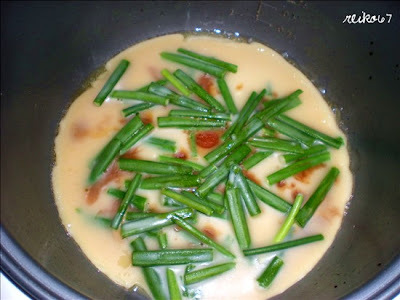 Use rice cooker have to wait around 15 - 20 mins for one Pa Jeon to be well cooked.